Levenhuk Blaze 90 PLUS Spotting Scope is created for those who want to see every detail. 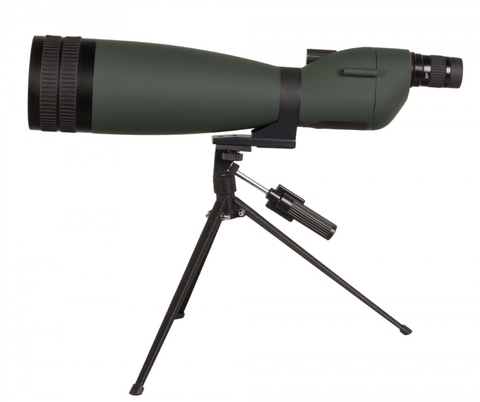 Advanced fully coated optics produce clear images, while high (up to 75x!) 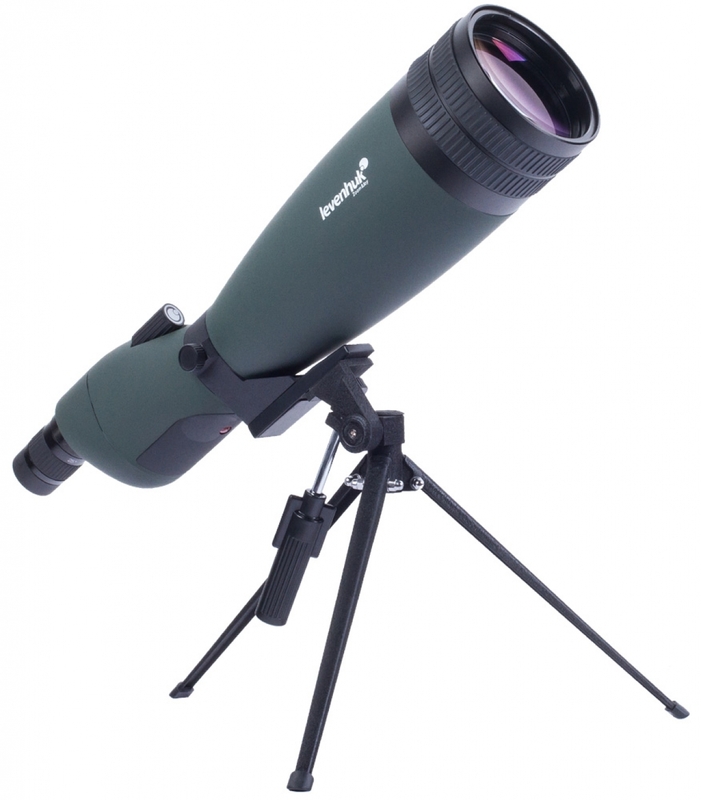 magnification allows studying even very distant objects. 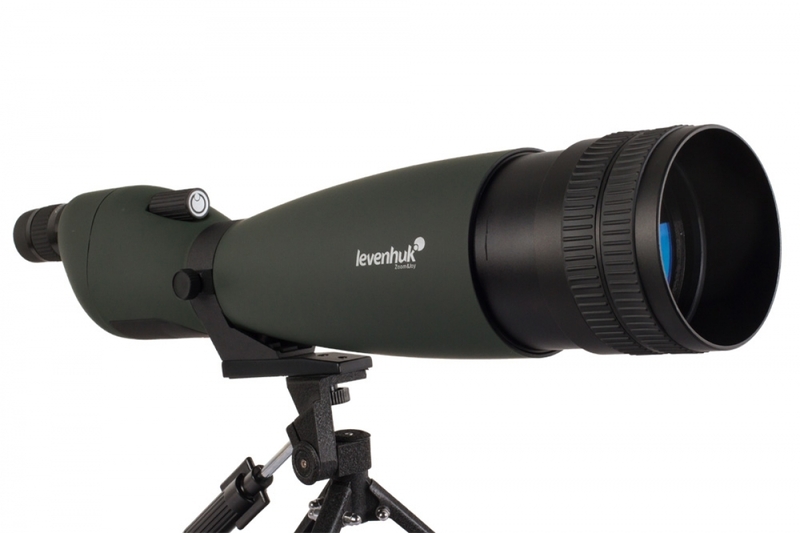 The powerful objective collects a lot of light, so the scope is suitable for night-time observation and is even a good choice for entry-level astronomical observations! 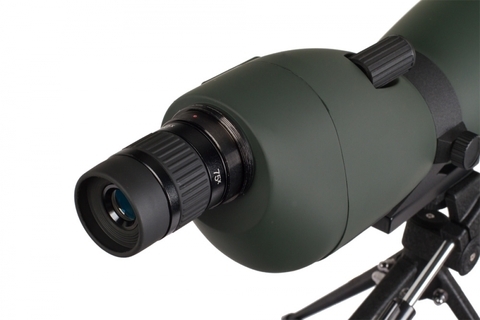 The waterproof shell assures the scope is not afraid of bad weather – be it fog or rain, the image will stay perfectly clear. To top it off, this model features quite compact dimensions and light weight, which allow you to take Levenhuk Blaze 90 PLUS Spotting Scope with you for camping and traveling. Prisms and lenses made of BK-7 glass are covered with anti-reflective coating, so the loss of light inside the device is reduced to zero. The prisms are covered with silver coating; the lenses, blue coating. The large objective lens enables the scope to collect a lot of light. 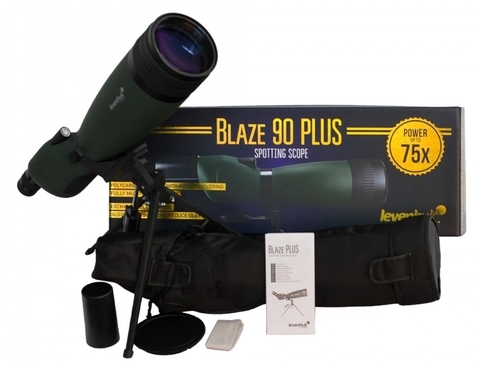 Levenhuk Blaze 90 PLUS Spotting Scope comes with a professional removable metal eyepiece included in the kit. As a result, the image is always bright, crisp and sharp with lifelike, lush colors. A nitrogen filling in the instrument’s shell keeps the optics from fogging in high humidity. 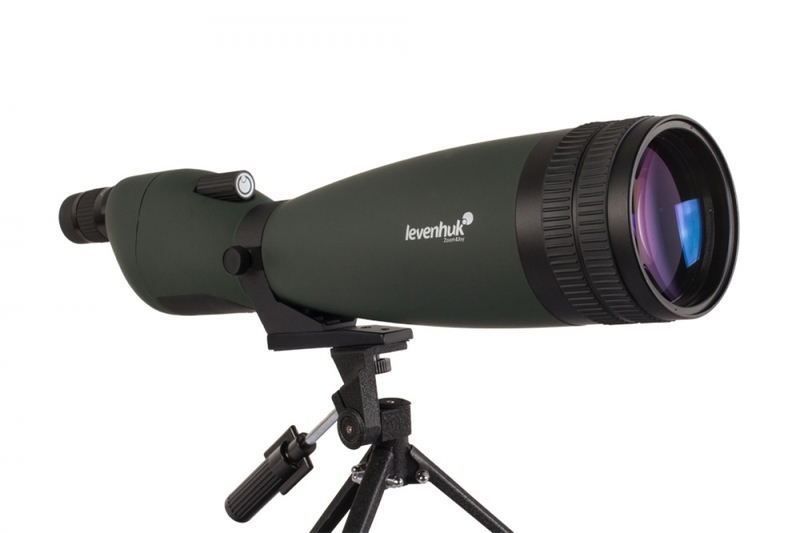 Ergonomic design is another advantage of Levenhuk Blaze 90 PLUS Spotting Scope. 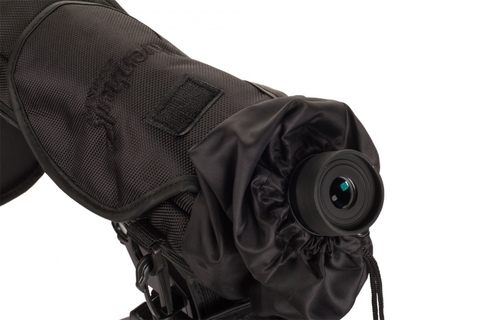 Its eyepiece is equipped with a soft rubber eyecup, which adds more comfort to your observations and prevents side light. The long eye relief of this model will be especially appreciated by observers who wear glasses. The spotting scope allows you to attach a digital camera using T-ring and camera adapter (purchased separately). 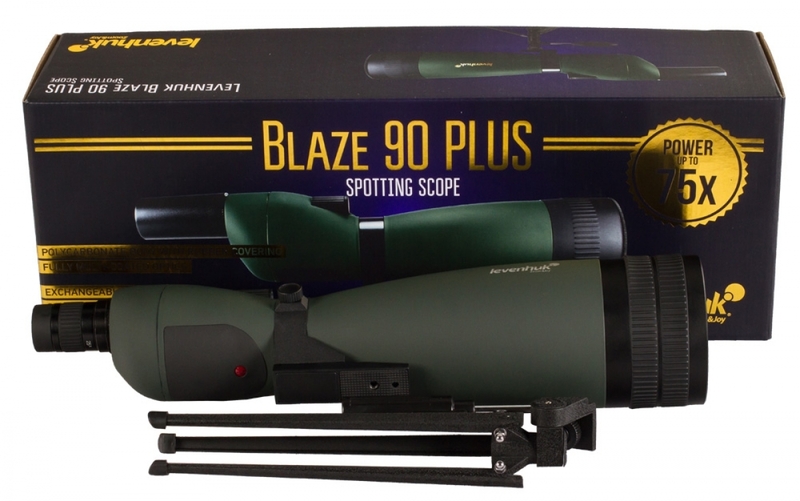 The lightweight and sturdy shell of Levenhuk Blaze 90 PLUS Spotting Scope is resistant to mechanical shocks. Dust, dirt and moisture won’t get inside the scope as it’s completely hermetic. 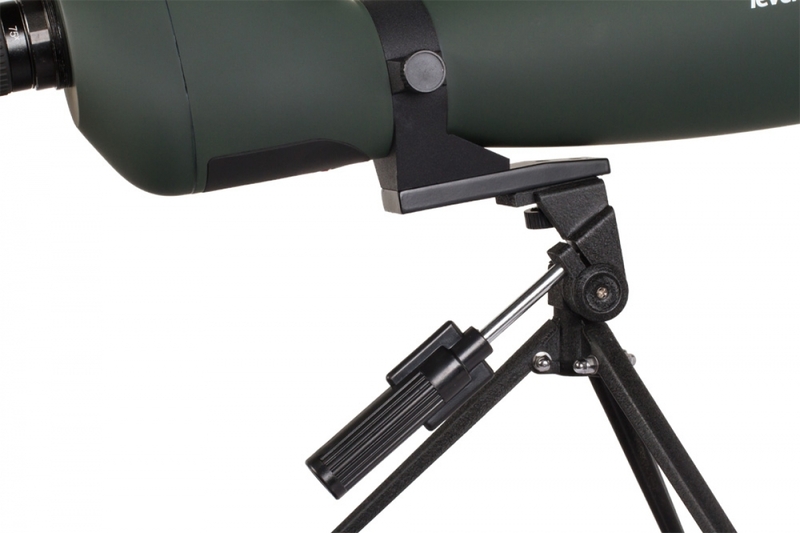 A special case included in the kit protects the scope not only during storage, but also during operation of the instrument – you don’t need to remove the case; unzipping it is enough. The case is especially helpful in bad weather or in the field. 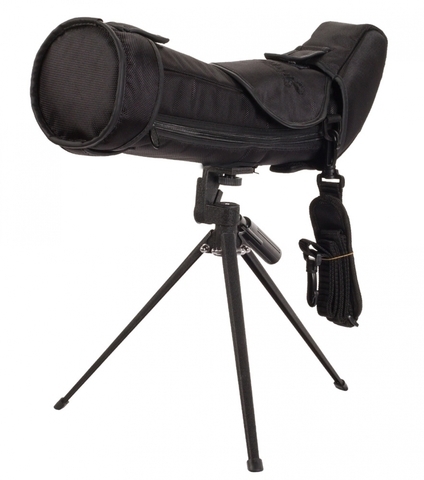 The kit also includes a reliable metal table tripod. It helps by avoiding vibrations and providing for steadiness of the scope, so image quality stays high even during long-term observations. 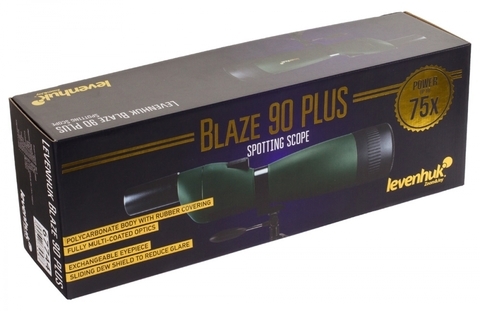 Levenhuk Blaze 90 PLUS Spotting Scope provides clear images in all circumstances!